Today Only Deal – Refurbished Nikon D7500 Body for $699.99 at B&H Photo Video ! B&H Photo Video today only has a super hot deal on refurbished Nikon D7500 body for $699.99. This is lowest price online ever. Coming with 90-day Nikon USA refurbished warranty. 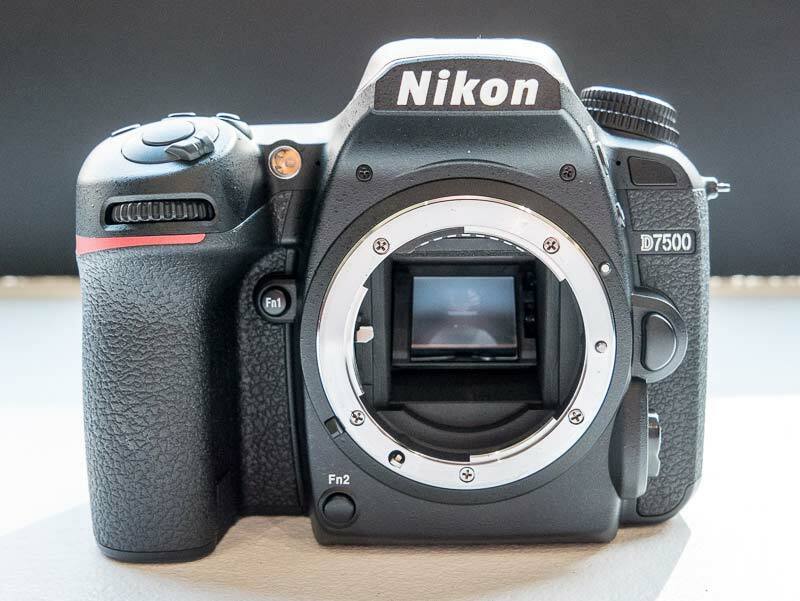 Author adminPosted on March 26, 2019 March 26, 2019 Categories Nikon D7500Tags Refurbished DealsLeave a comment on Today Only Deal – Refurbished Nikon D7500 Body for $699.99 at B&H Photo Video ! Nikon D7500 is Nikon’s latest DX DSLR camera released this year. At 2018 Black Friday & Cyber Monday season, according to leaked Nikon Black Friday Ad, you will get up to $570 off on Nikon D7500 bundles. Up to $1,100 Off Nikon Instant Rebate are Expiring June 2nd ! The hot up to $1,100 off instant rebate for Nikon DSLR cameras are set to expired on June 2nd, 2018. Order ASAP before expired. Author adminPosted on May 29, 2018 May 29, 2018 Categories Nikon D3400, Nikon D500, Nikon D5600, Nikon D7200, Nikon D750, Nikon D7500, Nikon D810, Nikon DealsLeave a comment on Up to $1,100 Off Nikon Instant Rebate are Expiring June 2nd ! 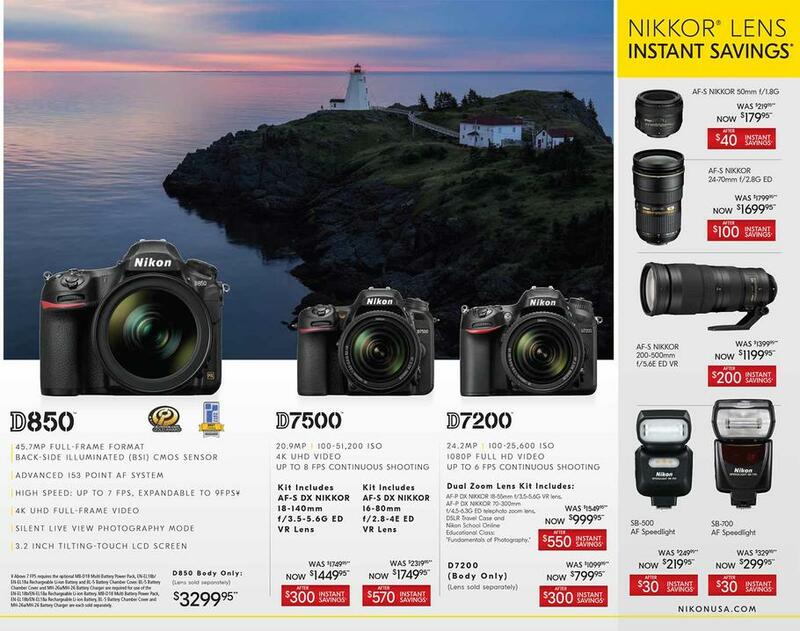 Up to $300 Off New Nikon Lens-Only Rebates & D7500 Savings now Live ! 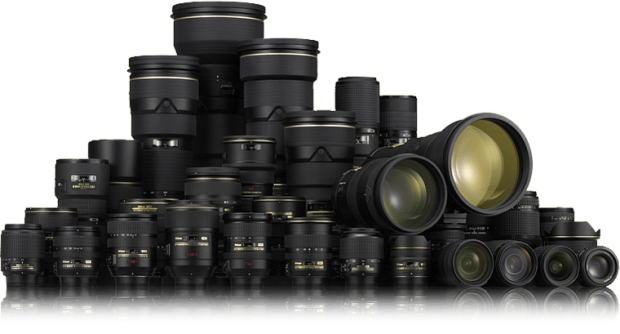 Nikon USA has just announced a new lens rebates today. You can save up to $300 Off on NIKKOR lenses at B&H Photo Video & Adorama.com & Amazon.com. And there are also $300 off on Nikon D7500 bundles at Amazon & B&H Photo Video & Adorama.com. Author adminPosted on December 10, 2017 December 10, 2017 Categories Nikon D7500, Nikon Deals, Nikon DX Lenses, Nikon FX LensesLeave a comment on Up to $300 Off New Nikon Lens-Only Rebates & D7500 Savings now Live ! 2017 Nikon Black Friday Deals & Sales now Live ! The super hot Nikon Black Friday sales now already started, you can save up to $1,585 off on Nikon Cameras and save up to $200 off on Nikon lenses at B&H Photo Video & Adorama & Amazon. Author adminPosted on November 19, 2017 Categories Nikon D3400, Nikon D500, Nikon D5600, Nikon D7200, Nikon D750, Nikon D7500, Nikon D810Leave a comment on 2017 Nikon Black Friday Deals & Sales now Live ! 2017 Nikon Black Friday Ad Leaked ! 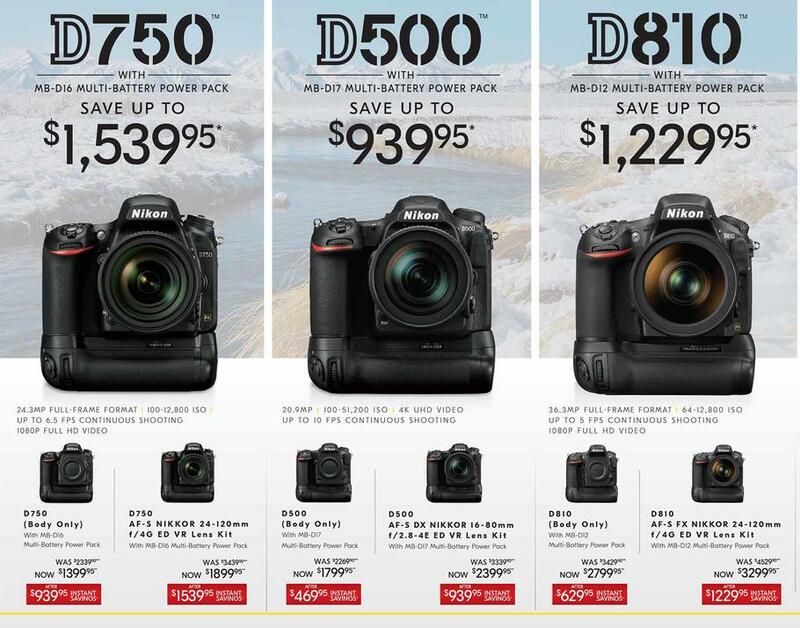 Nikon has already leaked the upcoming Black Friday & Cyber Monday sales today. 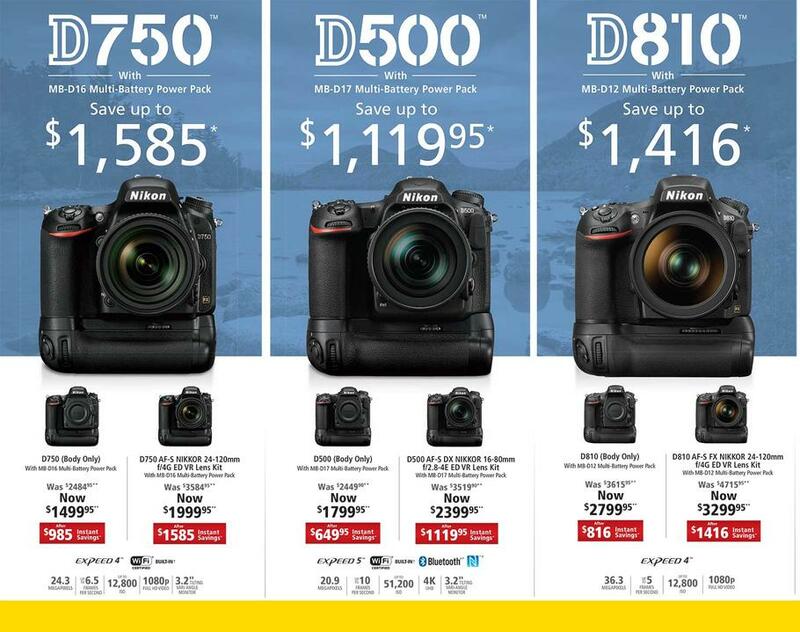 According to leaked Nikon Black Friday Ad, you can get huge rebates on Nikon D810, Nikon D750, Nikon D500, Nikon D7500, Nikon D7200, Nikon D5600, Nikon D3400 and a lot of NIKKOR lenses. The new released Nikon D850 and Nikon D5 will not be on sale. 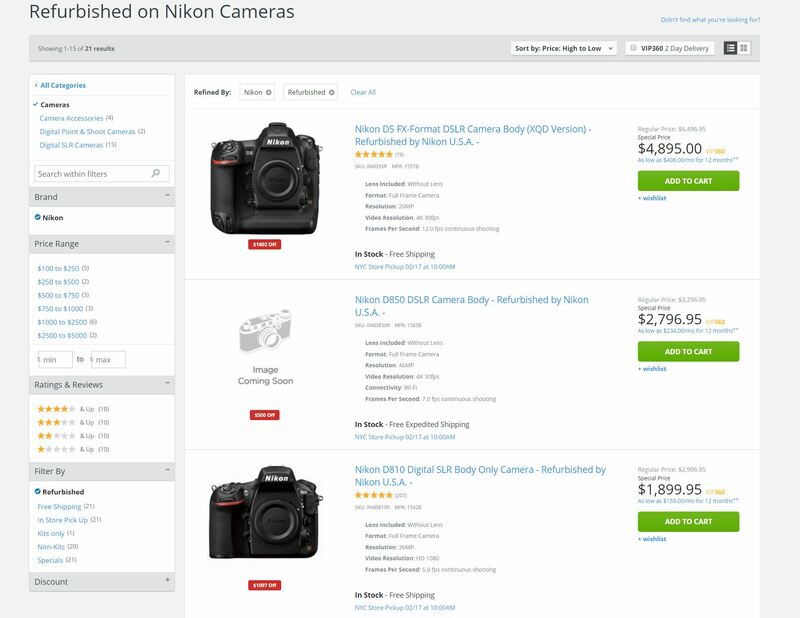 Author adminPosted on November 14, 2017 Categories Nikon D500, Nikon D7200, Nikon D750, Nikon D7500, Nikon D810, Nikon Deals, Nikon DX Lenses, Nikon FX LensesLeave a comment on 2017 Nikon Black Friday Ad Leaked !